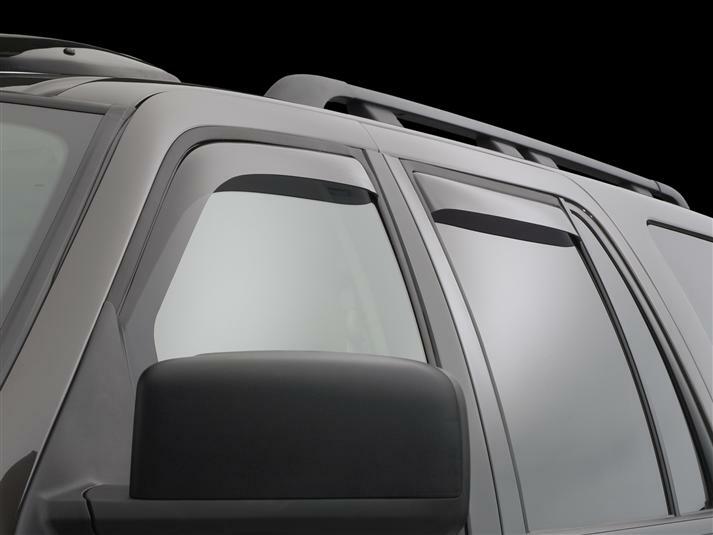 WeatherTech Side Window Deflectors are precision-machined to perfectly fit your 2013 Ford Expedition / Expedition EL's window channel. These low profile window deflectors help to reduce wind noise and allow interior heat to escape. Our light tinted Side Window Deflectors are the only deflectors in the world made with a D.O.T. (U.S. Department of Transportation) approved glazing material. Available in light and dark tint for most vehicles. Designed and Engineered in USA – Handcrafted in Germany. Living in Las Vegas from 1999 to 2016 was great, but summers were scorchers. Had to crack your windows or you're getting into an oven. They also help keep you dry when it's raining. 8 of my last 7 vehicles , (that would be over 18 years ). Has got WEATHER TECH window deflectors on them and also some of their other products .I had tried one of the stick on --it was ok, but glue didn't hold . I had seen a set of WEATHER TECH on a friend's truck , and they sold me . I called ( didn't have a computer then ) and ordered a sets the same day. THE ONLY CAR I HAVE THAT DOESN'T HAVE WEATHER TECH WINDOW DEFLECTORS on it is my toy -40 th anniversety FORD MUSTANG CONVERTABLE . YA'LL MAKE GREAT STUFF , KEEP IT UP ! . I ordered the rear pair of window deflectors for my dad because his old pair broke. HE LOVES THEM 10 times better than his old pair! He says they go on a lot better and he can even roll down his window more!! He likes them so much I have to get him the front pair now!! !